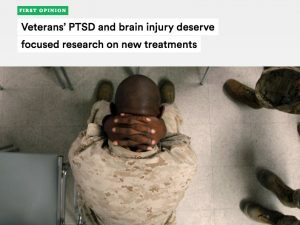 CAMBRIDGE, Mass., Oct. 4, 2018 – Cohen Veterans Bioscience, a Cambridge, MA based 501c3 non-profit research organization will establish a clinical trial infrastructure and serve as the Clinical Coordinating Center for a 3.5-year study to comparatively test pharmacotherapeutics for PTSD under an award managed by Advanced Technology International (MTEC Consortium Manager) on behalf of the U.S. Army Medical Research and Materiel Command (MRMC). Most critically, the field has historically conducted the majority of clinical trials using “traditional trial design” approaches. 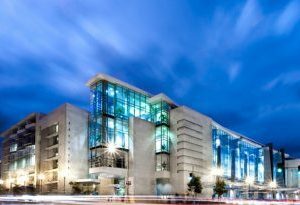 These approaches are generally time-consuming, have been associated with high failure rates, and are expensive, as they often result in starting over in a new trial with lessons learned. CVB will be spearheading the design and application of “Smart-” or “Adaptive-” clinical trials for PTSD. These studies include a prospectively planned opportunity for modification of one or more specified aspects of the study design based on data (usually interim data) collected from subjects in the study. 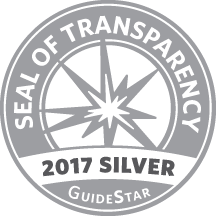 To execute such a program, a centrally-managed platform clinical trial infrastructure will be established, potentially including academic, private, VA, and military research centers. “Advancing our understanding of disease while promoting a precision medicine approach for the treatment of PTSD is fundamentally important to help us support our mission to protect, treat and sustain the health of Service Members,” said Dr. Kimberly A. del Carmen, who will serve as Sponsor Office Technical Representative on behalf of the U.S. Army Medical Materiel Development Activity Neurotrauma and Psychological Health Project Management Office. 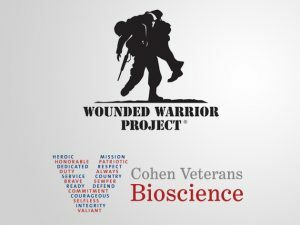 Cohen Veterans Bioscience Convenes World-Class Experts and Leaders in Brain Health at Consensus Conference in Washington, D.C.